Hi everyone. My name is Coco, and I am a big fan of both chocolate and coconut. 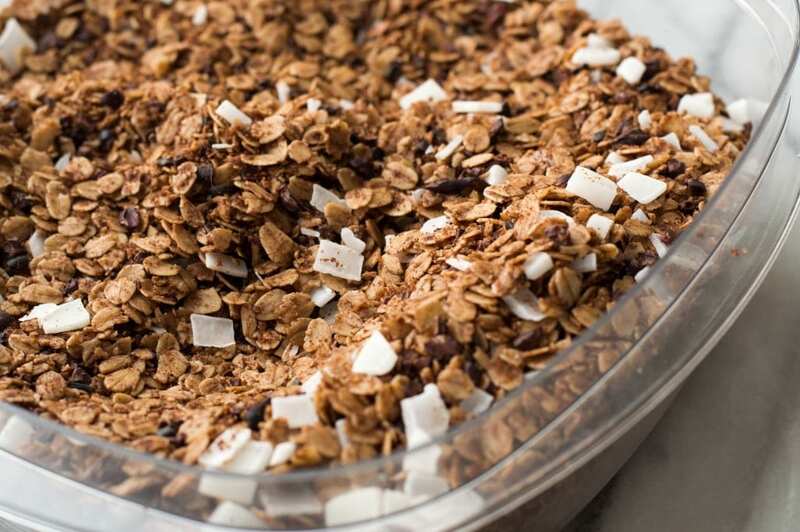 Go ahead and laugh, then get a hold of yourself and make yourself a batch of this Chocolate Coconut granola, alright? With intensely layered coconut and cacao-based ingredients, it’s a salty-sweet, delicious expression of two of my favorite flavors. 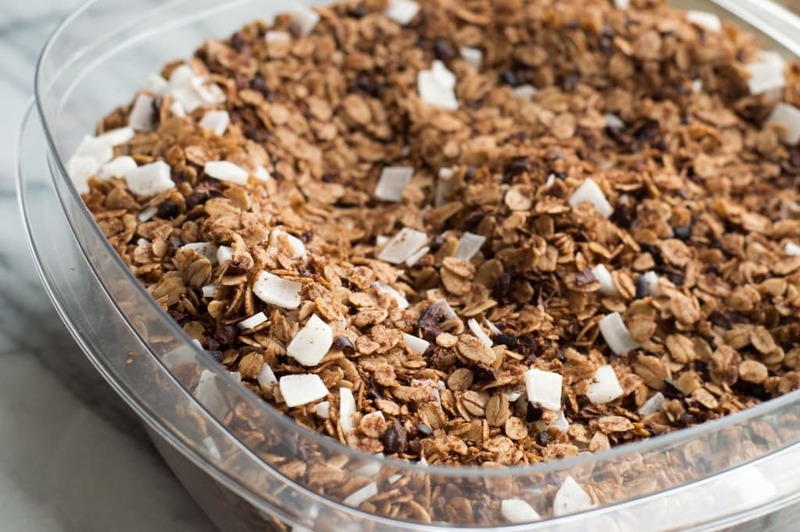 I first started tinkering with granola recipes about four years ago, and I haven’t stopped since. These days I tend to gravitate toward muesli in the morning, but it’s nice to have something sweeter for a once-in-a-while treat. 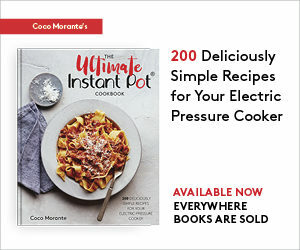 The recipe below has a modest 1 1/2 teaspoons of coconut palm sugar per 1/3-cup serving, and you can definitely get away with reducing the sugar by a third if you like a more bittersweet chocolate flavor. Harvested from the nectar of coconut flowers, coconut palm sugar has roughly half the Glycemic Index of cane sugar. It’s boiled down to a thick syrup before being dried into its crystallized form, which tastes and looks similar to brown cane sugar. You can use it in a 1:1 ratio in any recipe calling for cane sugar, including cakes, cookies, and smoothies. I’m looking forward to playing around some more with this minimally-processed, diabetic-friendly sweetener in my other recipes. I loved the idea of going all coconut with the oil, sugar, and dried coconut in this recipe, and it paid off in the end — the flavor is pure coconut/chocolate, with enough salt to keep it from being overwhelmingly sweet. Coconut comes in many differently processed forms, and you’re welcome to use whatever kind you prefer here. Sweetened or unsweetened, flaked or shaved . . . whatever you’ve got on hand will work well. Dried coconut strips caught my eye during a recent grocery shopping trip, so I just went with those. Sliced into thin squares, they retain an almost mochi-like chewiness, adding a nice textural contrast to the mix. As for the oil, stick to coconut rather than subbing in vegetable oil if you can. It perfumes the whole batch of granola, and its flavor plays incredibly well with sea salt, too. The chocolate flavor in this granola comes from two ingredients: raw cacao powder and cacao nibs. If you’ve got regular cocoa powder on hand, it’d make a fine substitute for the raw cacao powder. Cacao nibs are extremely bitter on their own, but mixed into a bite of sweet granola, they just intensify the chocolate aroma. A teaspoon of vanilla paste helps to amplify the chocolate even further. It’s a very concentrated product, so you’ll need to use double the amount of vanilla extract if you’re making a swap. The ultimate yogurt topper. Sweetened with coconut palm sugar, with mix-ins of cacao nibs and chewy, lightly sweetened dried coconut. Preheat the oven to 325ºF and line a baking sheet with parchment paper. Measure the oats into a large (6-quart) mixing bowl and set aside. In a small (1-quart) saucepan over low heat, combine the coconut oil, palm sugar, cacao powder, vanilla paste, and sea salt. 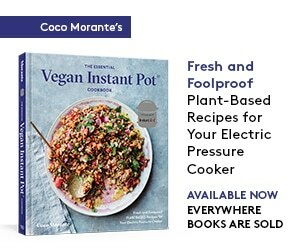 Heat just until warm and pourable, stirring often. Pour the liquid mixture over the oats and stir until the oats are coated evenly. Spread the oats out in an even layer on the baking sheet. Bake for 40 minutes, stirring every 10 minutes to ensure even toasting. Remove the oats from the oven and allow to cool to room temperature, about 1 1/2 hours at least. 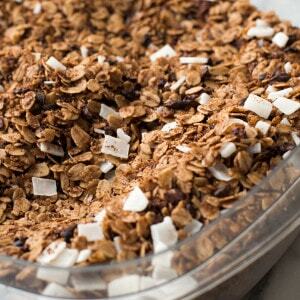 Stir in cacao nibs and coconut strips, then transfer the finished granola to a ziplock bag or airtight container. Store in the pantry for up to 4 weeks, or in the freezer for up to 3 months. Samples provided by Navitas Naturals and Tahitian Gold.